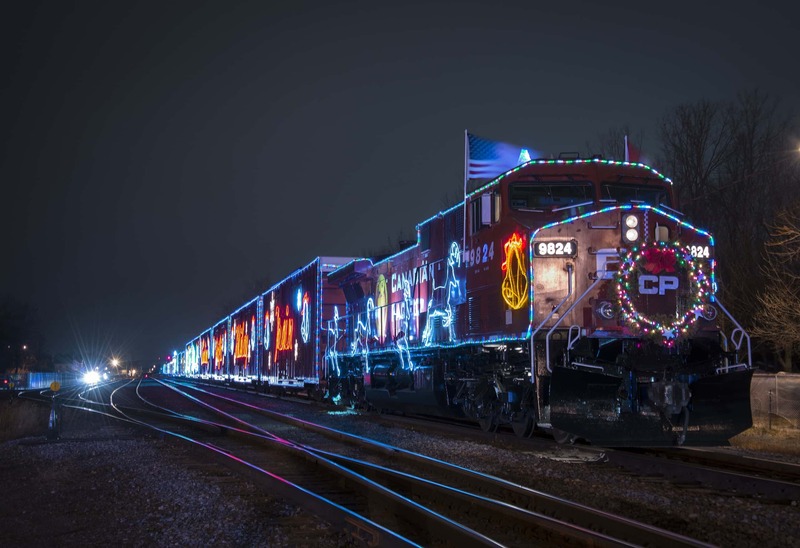 CARRINGTON, N.D. (NewsDAkota.com) – The Canadian Pacific Holiday Train is currently on its 20th annual journey through the U.S. to raise holiday cheer and food donations. The Canadian Pacific Train will make it’s trip through the U.S., with over 160 stops before wrapping up it’s trip in Weyburn, Saskatchewan on December 16th. Media Relations Manager Andy Cummings says they have six planned stops in North Dakota. Local stops include Enderlin, Carrington, and Harvey. Cummings says in the past 19 years, the Canadian Pacific has raised millions of dollars and tons of food that have benefited area food pantries. Performers on the train include Willy Porter, The Trews, Sam Roberts Band, and Jojo Mason. The train will stop in Enderlin on December 14th at 9:05 PM. It will then stop in Carrington on December 15th at 1:30 PM and Harvey at 3:45 PM. The Trews and Willy Porter will be performing at each location. Spectators are asked to make either food or monetary donations that will then benefit their local food shelter. For the full train schedule in the U.S., click here.